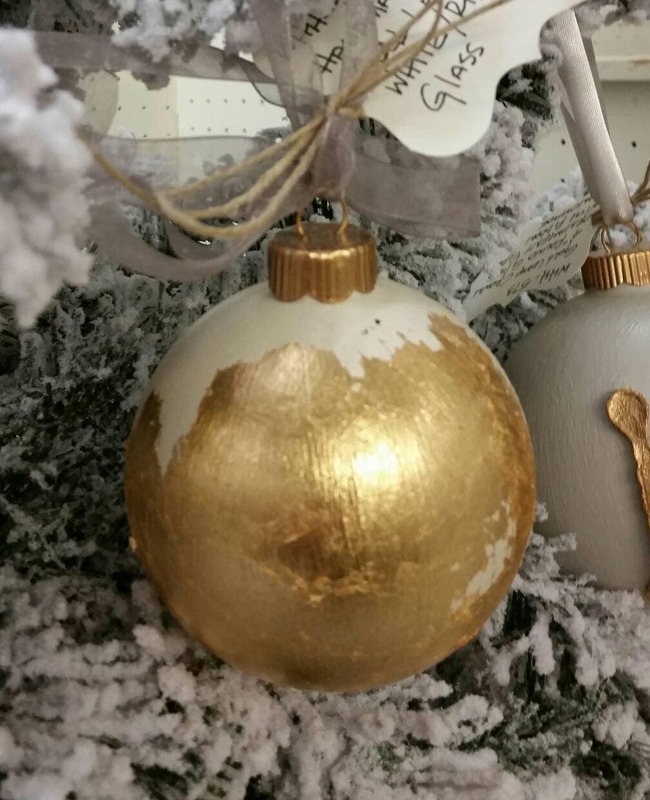 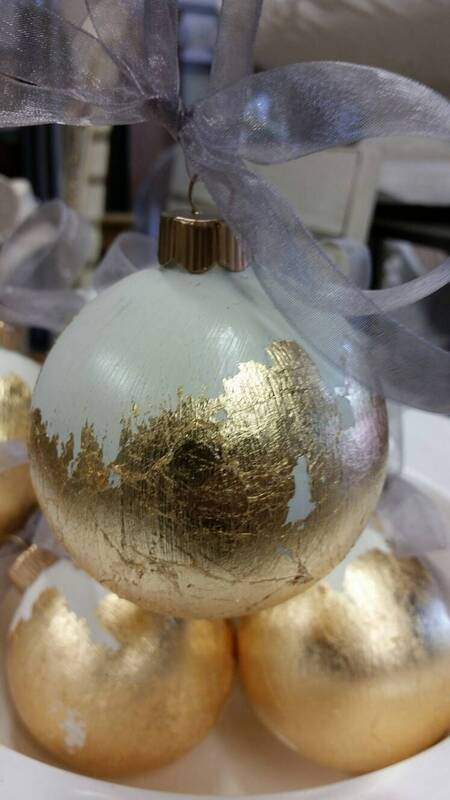 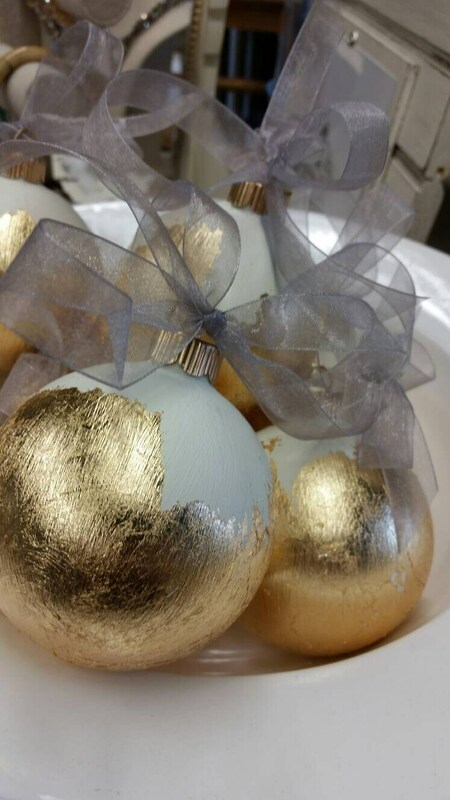 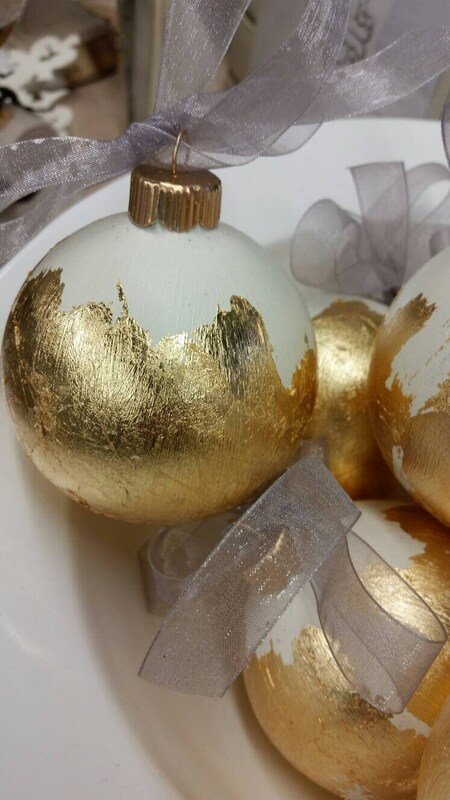 Handmade one-of-kind Real Gold Leaf is applied to a 3 1/4 inch round glass ornament that is finished in Oyster White and a fabric ribbon that is tied at the top to make hanging easy. 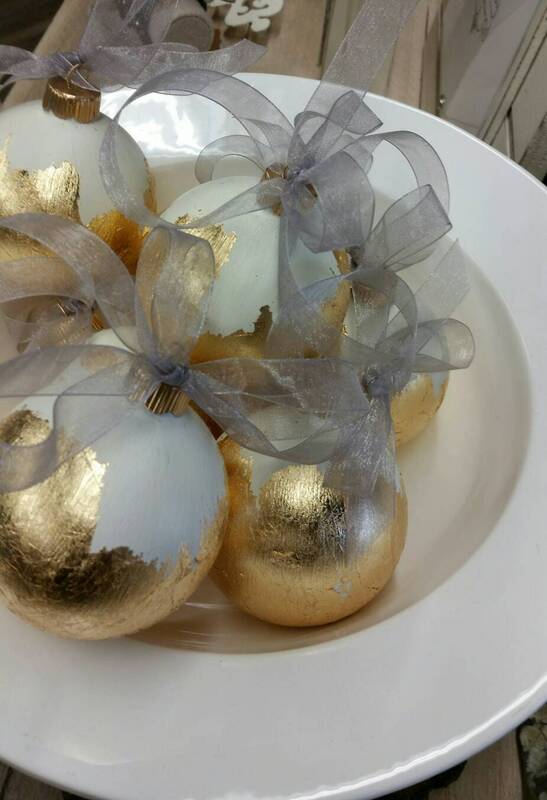 Each comes in a clear gift bag with bow. 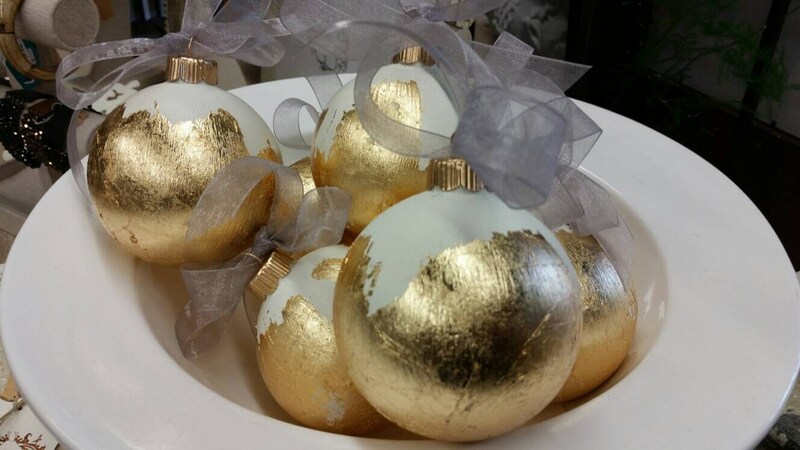 They would make a great Christmas gift for a hostess, secret Santa gift, or Christmas teacher's gift.